Bullying is an extremely important issue and can affect a person’s mental state and overall level of well being to a large extent. Bullying should not be tolerated by anyone, and the following five tips are just some of the ways in which you can fight back and recover emotionally from being bullied. Bullying is not the fault of the victim. However, they can be made to feel afraid, upset, isolated, guilty, ashamed, angry and helpless. This can even lead to suicidal thoughts. Bullying can lead to the individual having depression, anxiety, panic attacks and low self esteem among other issues. Therefore, it is of the up-most importance that it is dealt with and resolved as swiftly as is possible. 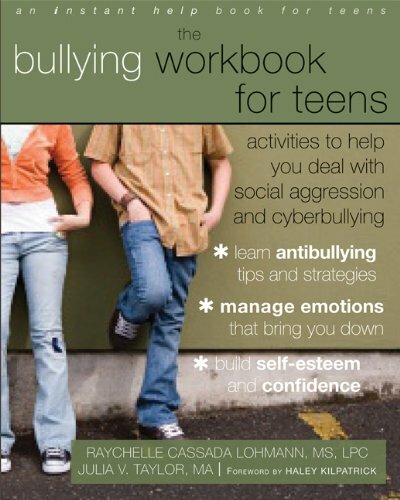 These tips should be of general assistance to anyone experiencing bullying who is looking for coping mechanisms, as well as ways in which they can overcome it sooner rather than later on. One of the key ways that one can cope with bullies more effectively is to have a strong sense of self assurance. If you are confident within yourself and believe in your abilities, your achievements and successes, then you are far less likely to be affected by anything that a bully may say to you. Confidence is related to self assurance, but I am talking about a more deep routed mental state, whereby you know the person that you are inside and out and you can draw strength from this. Some may say that finding your own level of self assurance would give you confidence in itself, but develop this approach and words will wash over you, no matter how harsh they may be. You can develop this self reliance and poise through many means which I will discuss in the following examples. But remember that you have an inner core of strength, power and determination that nobody can reach. Writing down the thoughts that you are having can help as a way for you to let out your emotions. Writing can be an outlet for your concerns in the short term. If you are struggling to talk to someone about the bullying that you are going through straight away, then showing them these notes and your thoughts as soon as you feel ready will take some of the verbal pressure off yourself to explain the events. It would also help if you have a log which records when and where the bullying took place, what the issue was over and so on. These details could help you prove the bullying if you later decide to tell a teacher if you are in school or college, or to take the matter further legally if it is happening to you in the work place. Speaking about bullying can be one of the hardest things for the victim to do. Firstly, they may feel that they could be getting the bully into trouble if at school, and then they would fear that the bully would come after them again. In the workplace, they may have an internal fear that other colleagues would judge them as weak or over exaggerating matters for example. Do not underestimate the seriousness of bullying if you are reading this out of concern for a loved one. Seeking help through talking can often be the first step for a victim. Once they overcome this hurdle and open up emotionally then they will become stronger mentally to overcome the bullying. This point was not mentioned as tip number one because although it is one of the most important things that a victim should do, to do so takes self assurance and an ability to express ones emotions. It can take a while for a victim to process that the bullying is occurring, especially if it only happens a few times. If this is the case, then at first they may seem to be unaffected. It is when they add up events that they can see the true extent to which they have been made to feel worthless or unimportant by a bully. Talk to your parents, a teacher, a family member, friend or loved one about the bullying and how it is affecting you. It may be physical bullying or mental bullying, but either way, try to explain it as best you can to them. Write a letter or note if you are finding it difficult to express yourself verbally. The important thing is that you talk to somebody, tell them what is happening now or has happened to you in the past. 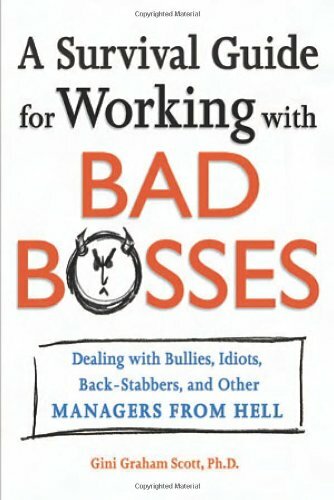 In terms of being in the workplace, talk to your line manager and other colleagues to see if they are having the same problems as you, and then explain matters to your boss as well to take your concern further. Of course, in the workplace, bullying comes under the category of harassment. Always report any bullying to your senior authority figure in the workplace as a first port of call. To help yourself as much as anything else, you need to understand a bully’s mentality. Often people bully others when they feel inadequate, they are lonely, seeking attention or simply putting others down to make themselves feel better. This could be because they themselves have internal conflicting emotions about who they are and because they are insecure. Often bullies lack in confidence and are acting out because of emotional issues. Better understanding a bully’s state of mind can help you to regain control over the situation in yourself, because then you are more aware that they have weaknesses in themselves. Doing this sort of analysis will ultimately help you to feel stronger or even to pity the bully because you will better understand what is causing them to act out. Very often it is not at all a personal issue with you, but an issue with the bully themselves. It can be very difficult when a bully tries to provoke you, anger you or create a reaction from you. You will show them that you are the bigger, better and stronger person by always walking away from them. This is especially important to note when the conflict gains a sense that it could potentially escalate, especially in terms of physical violence. You are in control of the situation, you are the more powerful individual for walking away and steering clear of a bully and their aggressive behavior. By not responding to the bully and by taking charge, you are asserting your authority and confidence to the bully. The bully just wants attention, so never engage in physical fighting or physical contact with a bully unless you are defending yourself from an attack. Self defence would be the only time you would engage in this manner. However, do not let it build in momentum to this point, step back from the conflict instead and you will be asserting your control and authority. Remember, if you are being bullied in any way then always try to talk to someone close to you about it first. There is always help and a way to overcome it. Although it can be very difficult, support is out there, you just have to tell one person today and you will have a better tomorrow without bullying or fear anymore. Below is a You Tube video on ways to stop bullying from the channel ‘watch well cast’. thanks for your comment Shaddymak. Bullying is a really serious issue on which more needs to be done in society today. I hope these tips offer some kind of helpful advice, even if that may be small, to those suffering from bullying in any shape or form.